A couple of weeks ago, I watched 13 Most Beautiful...Songs for Andy Warhol Screen Tests . It's a collection of 13 of Warhol's silent black and white screen tests put to a soundtrack by Dean & Britta. I especially like the Lou Reed screen test above, set to a cover of one of his songs. I can see how most people might find these to be incredibly tedious, I would almost recommend them as a background video at a party or in the background while working on a project instead...but if you enjoy watching faces and listening to good music like I do, then I also think they can stand on their own. You can find a few more of the screen tests from this collection on youtube. Hello there! 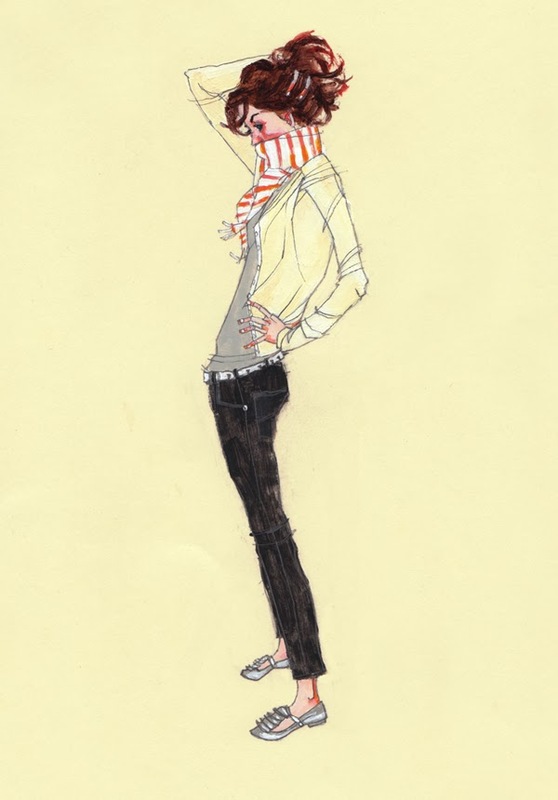 I love your blog and your illustrations! These types of videos hypnotize me, have you ever watch Andy eating an hamburger? It's so...strange and catching! thanks, Poppy! i haven't watched the hamburger video, but i've seen a ton of Warhol's other films and i know what you mean. i once sat through an hour of his 8-hour empire state building film for a history of silent film class. i think of his films more like moving (or sometimes barely moving) portraits or landscapes rather than films. glad you enjoy them as well!